New Suspension Options for your EMS Vehicle - Frazer, Ltd. 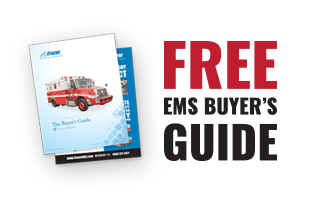 In your mobile emergency room, stable rides are critical. EMT’s need to be able to work regardless of road conditions. 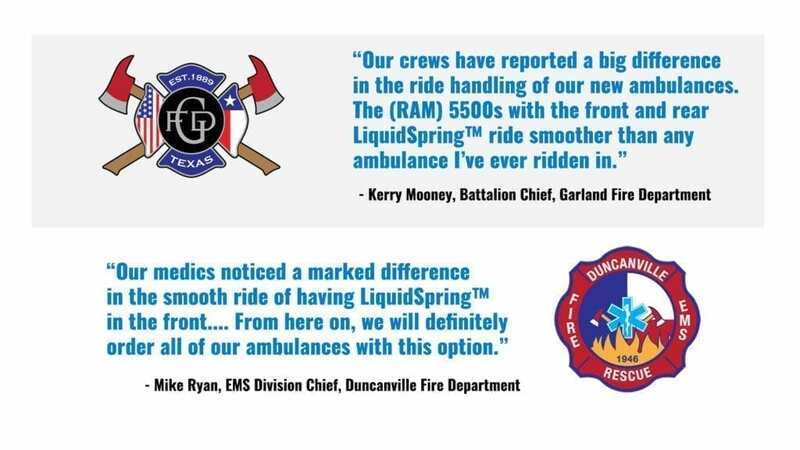 Frazer offers two LiquidSpring™ suspension options to create a safer and smoother ride for you and your patients. We offer a rear axle LiquidSpring™ suspension system that can replace the standard factory suspension system. Rear axle LiquidSpring™ can be added to most Chevy, RAM, Ford, Freightliner, and International chassis cabs for around $11,500. Frazer now also offers a new Front Axle LiquidSpring™ Suspension System that can be integrated with your rear axle LiquidSpring to provide an even smoother and more comfortable ride. Variable stiffness and damping automatically adjusted. Kneeling feature improves door egress. 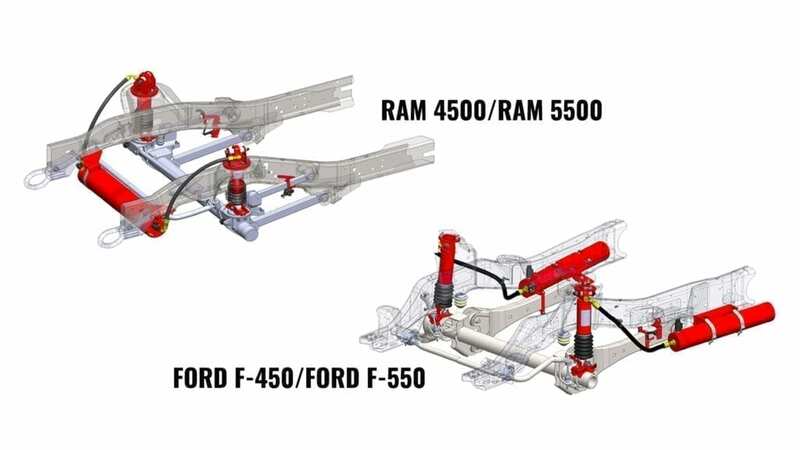 Front axle LiquidSpring™ can be added to the RAM 4500, RAM 5500, Ford F-450 and Ford F-550 truck chassis for around $7,500.